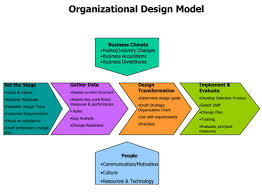 Basic purpose of this article is to Discuss and Define Organizational Models. Some models describe the exact characteristics of organizations, while some describe the ideal qualities for achieving their goals. This article major focus on Bureaucratic organizations and Collectivist organizations. Now a days, no single model possesses adequately described the totally complex nature of organizations generally speaking.